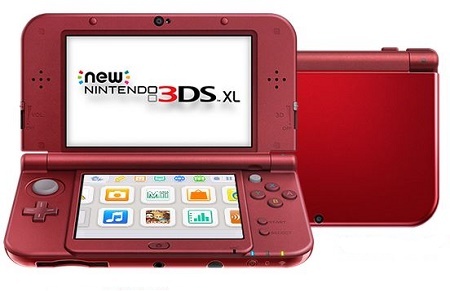 If you love handheld gaming, then you likely have a 3DS, DSi, or something along those lines. Nintendo is near and dear to our hearts, and it’s always exciting to see what they have up their sleeves. While their latest and greatest in the realm of hardware is not always the most riveting thing ever, sometimes they surprise us. The New Nintendo 3DS XL took something we love and made it better. While the changes are few, they certainly make an impact. Despite the fact that it is incredibly cheesy to put “new” in the name of your system, you can’t help but be a little excited. This will have faster load times thanks to an improved CPU, a C stick (camera control), ZL and ZR buttons, and it will let you transfer all sorts of data wirelessly without having to remove your SDHC card. One of the things that seems like it should have been a feature at the initial 3DS release is that they have also included face tracking. You no longer have to be directly in the front and middle of the screen to get the 3D effect. This will make it so the screen will adjust to your movements, rather than the other way around. Merely an added bonus for those who already use this aspect, this a big deal for those who were too annoyed to use it because of that fact. This will still play nicely with all of your previous 3DS games, though it will likely have exclusives in the future. They have also included near-field communication to support amiibo-compatible games. This will start shipping to North America on February 13th and will cost you around $199.99, but be aware that the basic package does NOT come with an AC adapter. However, it will work with any other charging cables you already have for a DSi or 3DS. There is a Majora’s Mask edition, but good luck getting your hands on that before it sells out completely.